Married to her job as a corporate trainer for a successful direct sales company, Kenzie Beckett doesn’t have time for a man. Burned twice by two-timing losers, she has no intention of there being an opportunity for a third time. When a handsome rodeo cowboy catches her eye at the airport, she resolves it will take more than a pair of dusty boots and a dimpled smile to charm her. Tate Morgan can handle the toughest saddle bronc on the rodeo circuit, but he loses the ability to think straight around the beautiful woman he keeps running into at the airport. 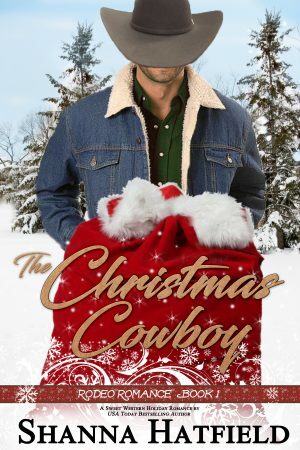 Completely captivated by a woman who makes it clear she loathes cowboys, Tate will have to work a little holiday magic if he wants to win her heart.